Fashion is an ever evolving aspect of human life. Making clothes, not just for comfort but for glamour, has been the preoccupation of creative members of society since ancient times. Trends come and go, but the fact remains that fashion is always an important aspect of our lives. Designing clothes is considered an art form since it involves flair and imagination. And behind every idea is a designer whose creative process leads eventually to the trendy and glamorous clothing concepts that we see. 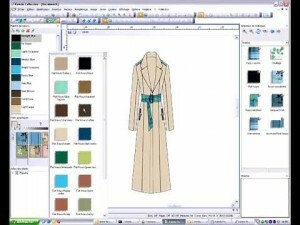 Nowadays, designing clothes has become easier with the use of clothing design software. With the use of such software, creating clothes has never been more fun. If you have the creative flair to create what has never been seen before, then all you need are state-of-the-art tools, and we have ten of the best for your perusal. With the use of Virtual Fashion, creating your own garments in the style that suits you has never been this fun. It offers use of stunning effects, and the designs can be viewed in a three-dimensional aspect. You’ll be surprised as to how easy it is to operate Virtual Fashion. It would only take a while to create stunning and wonderful clothes for you, your friends, and your family. And it may even be used to create designs for a clothing business. One of the awesome features of this software is that it gives you access to precise fabric textures which make your output very realistic. 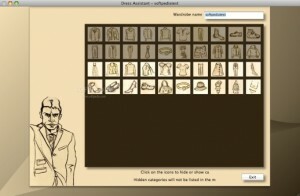 Dress Assistant is often classified as one of the most basic software made for designing clothes. It has a very basic interface with very limited options. It does however, do the job for your basic clothing solutions. This is used by those who are unable to find the clothes that fit them. With the use of this software, you can choose from a variety of combinations and eventually come up with something that suits your taste. The designs are also sorted per class and season so that choosing what kind of clothes for a particular setting or situation would not be so hard. 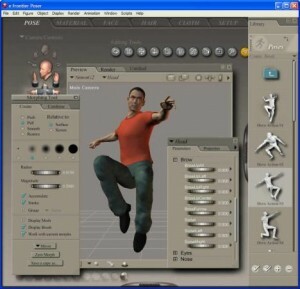 Poser is a 3D animation software that also allows you to make and design clothes as well. Though this kind of software does not really focus on the clothes, it gives sufficient options for you to design and make different clothing styles. Like any other animation software, Poser allows you to view details from any angle making it easy for you to compare the design you made what’s already existing. 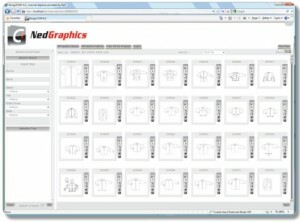 Even though Realistic Apparel Templates Pack only provides options for designing shirts, it is still a very useful program capable of producing quality outputs. 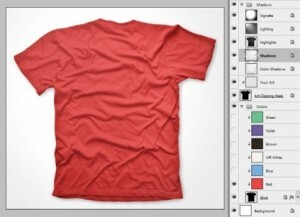 This software enables the user to create a variety of t-shirt designs in full detail. It has options that would let you change the color and you may also add on specific folds or creases that you want for your shirt design. PhiMatrix is a software made to accommodate almost anything that you want to design. It can be used not only for creating pictures, modeling a house or creating your own car but it is also able to help you design clothing. This program might take a while to get used to but every design using PhiMatrix is undeniably remarkable. The colors are absolutely vivid and the texture is so realistic you can almost touch the fabric. NedGraphics is one among the many fashion design programs that caters to every aspect of making fine clothing. It has a huge database of customizable patterns that can be applied to any gender or age. What’s great about this application is that your options in making unique designs are endless. The only obstacle you’ll be encountering in this software is using it fully. It takes time before you get to master every aspect and feature of this remarkable application, but it’s worth the time you invest. 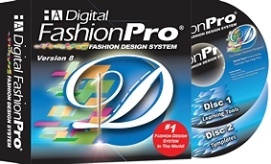 Digital Fashion Pro is a widely used designer software for creaking marvelous and glamorous clothing for all ages. It is the tool of choice for many fashion schools and designers. They use this program to create different styles of clothing. 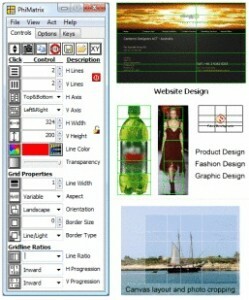 One of the best features if this software is a model mannequin which can be dressed up with the design outputs. This allows the designer to see how it looks on a human figure. This software is not limited to making clothes but it is also equipped with the capability to create stylish bags that go with the clothing. Cameo is specifically designed for accurately measuring and making patterns for clothes-making. This is a very intricate process and requires full attention to detail. Getting the exact measurements as well as the correct lining and pattern makes all the difference in determining the size of the clothing and this tool makes it so much easier and faster. 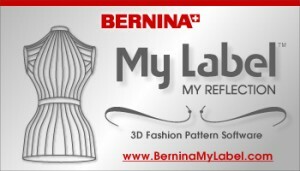 My Label 3D Fashion is great in creating your own personalized fashion wear. This program has a very user friendly interface that lets your create wonderful combinations among the given selections. The program only needs your personal measurements and it can do wonders with it. The measurements given serve as the key elements in creating magnificent designs and patters that will surely fit your taste and size. Lectra is a well known company producing top notch designing software for professional and personal use. One of the most famous creations of Lectra is Kaledo. Kaledo is said to be the most prominent and perfect designing software for an aspiring designer. It has all the necessary elements and features that are ideal for creating designer clothing meant for the catwalk, end even for a clothing business. Kaledo also has its own collection of suits and dresses that can be serve as template. (Every modification done will not change the original template, so no worries there). Every aspect in creating the ideal design for clothes is present in this program and you are only limited by your imagination. And since anyone could operate this software, we placed it at number one. HENCE I DECIDE TO EXPAND IN ALL OVER WORLD..
we have also a carrer option in our company by receiving 25,000 to 1 lakh per month . 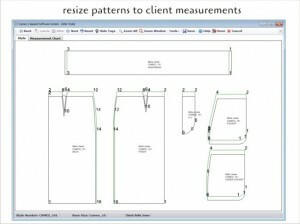 . . . .
HOW CAN I DESIGN CLOTHES BY USING SOFTWARE? I’d like to find a package that can accommodate fancy vintage-style western shirts and slacks (ala Roy Rogers, Gene Autry, Tom Mix, and Rex Allen), as well as pirate and poet shirts (HUGE sleeves and LOTS of ruffles) and wide-leg (i.e., rave-style) pants and slacks. Any recommendations?